The ever-changing legal landscape in California is enough to confuse even the most knowledgeable construction professionals. But, with the new ConstructionSuite, you can rest easy knowing that there are specialized contracts, forms, waivers, and notices written to meet the CSLB's unique and strict guidelines. Updated to reflect the most recent changes in California, UDA construction contracts include the newest clauses, contracts, and forms for General Contractors, Home Builders, and Home Improvement Professionals. All ConstructionSuite users in California can access and utilize these specialized contracts and forms. Plus, new features in ConstructionSuite such as the integrated Insurance Tracking system can help California construction professionals limit their liability and ensure full compliance with the requirements of the CSLB. California CSLB Contracts and Forms are included in all five versions of UDA ConstructionSuite CM - Lite, Contractor, Catalyst, Developer, and Enterprise, so there's sure to be a system that meets your needs. With new laws regarding Workers Compensation Insurance, Contractor's Licenses, and Surety Bonds officially in effect for 2007, California construction professionals need serious tools to ensure that they meet the ever-increasing standards enforced by the CSLB. With ConstructionSuite Premier versions and above, you'll have the power of the new UDA Insurance Tracking system to keep detailed records of licenses, bonds, and insurance for everyone involved in your projects. And, with the advanced reminder system, you can be notified before certificates expire to ensure that you do not face undue consequences or penalties. California contractors are required to provide Workers' Compensation insurance on behalf any home improvement salesperson if the relationship falls under the CSLB's "common law rule." Licensees with an active Roofing classification must have either a certificate of Workers' Compensation or Self-Insurance on file with the CSLB, regardless of whether they have employees. Most bonds and licenses are not on the same renewal cycle, and serious penalties can be incurred if these certificates are not renewed in a timely manner. If the contractor's license is not renewed prior to the expiration date, the contractor will face numerous penalties, including having the license revoked and paying a delinquent fee. Before a contractor's license can be issued or renewed, the licensee must have a current contractor's bond, or an approved alternative to the bond. Residential electricians and general electricians working for C-10 electrical contractors must be certified to perform such work. Any electricians not certified will be subject to penalties. The amount for a contractor bond recently increased from $10,000 to $12,500. Contractors who do not have sufficient bond amounts will promptly have their licenses suspended. Each employee defined by the CSLB as a responsible managing employee (RME) or responsible managing officer (RMO), (unless the RMO owns 10% or more of the voting stock) must also have a $12,500 bond. Ensure that the effective date of a new bond coincides with the cancellation date of the previous bond since only one bond can be in effect at a time. In the state of California, both Mechanics' Liens (lien on property) and Stop Notices (lien on funds) are acceptable means of ensuring that the project is completed to everyone's expectations. However, in some instances, you cannot file a Mechanic's Lien and must therefore use the Stop Notice. With all versions of UDA ConstructionSuite, you have access to professionally-authored Liens, Lien Waivers, and Stop Notices that you can customize to fit your project needs. California CSLB compliant Contracts and Forms are included in all five versions of UDA ConstructionSuite - Lite, Contractor, Catalyst, Developer, and Enterprise, so there's sure to be a system that meets your needs. 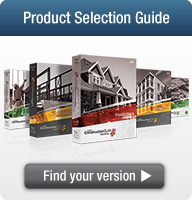 If you're a current user of UDA ConstructionOffice software, you are eligible for special upgrade pricing on the new ConstructionSuite system. In fact, you can receive up to a 50% credit on your previous UDA software to purchase a ConstructionSuite system of equal or greater value. Contact a UDA representative today at 1.800.700.8321 (Monday - Friday 9-7 ET) for a customized quote. ConstructionSuite CM honored with the prestigious 2012 Top Commercial Product award from Constructech Magazine. For the fifth consecutive year, Constructech Magazine has honored ConstructionSuite with the prestigious Top Product award. New Project Logging in ConstructionOnline brings pictures and video to daily logs.